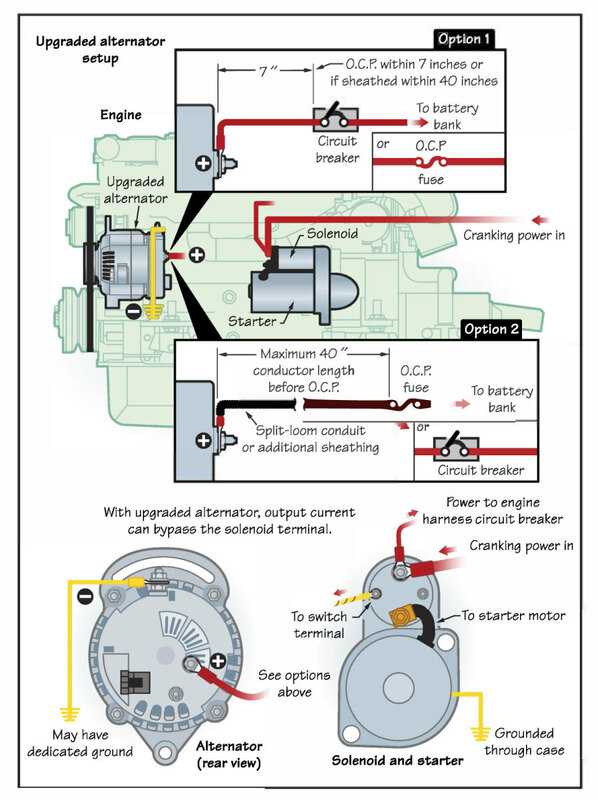 When we upgrade an alternator to provide greater charging capacity, we can alter the current path to best suit the increased current flow. 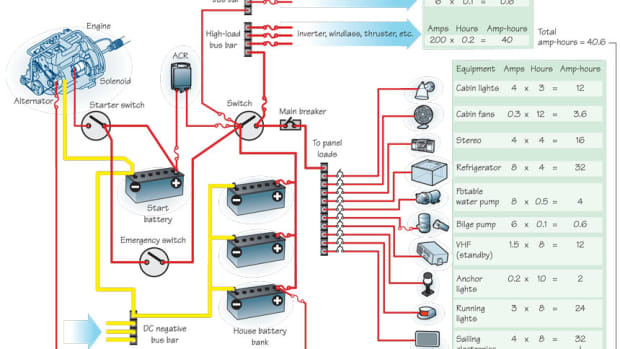 In most cases, directly charging the house bank with all available amperage and allowing for the minor charging of the starting battery afterward is the most efficient way of replenishing batteries. 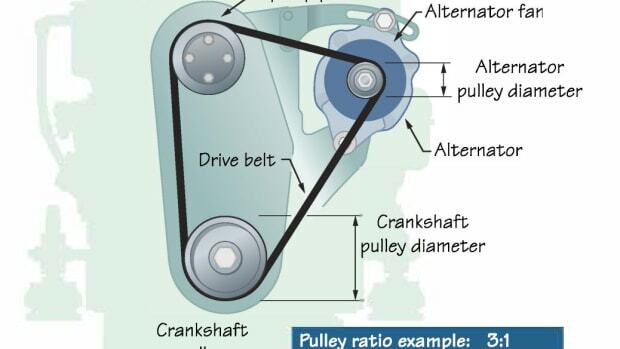 However, several fundamental system changes have to be made to the output wiring from the alternator to meet required standards. Conductor size must be increased to reduce voltage drop and ensure safety, a calculation made from maximum expected current and distance along the conductor (and back). Overcurrent protection is now required for this conductor because we are taking it off the starter motor terminal. 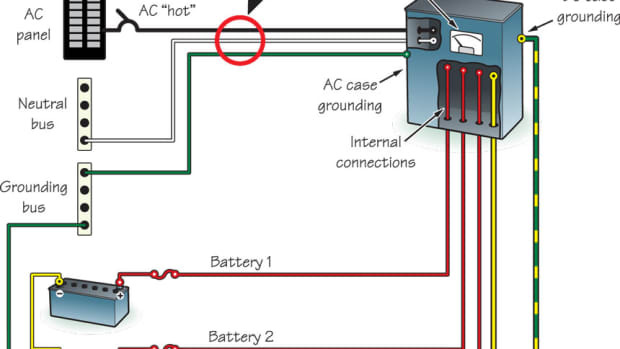 Cranking conductors are not required to have overcurrent protection, but instead of sharing, we are providing a new conductor that goes to the house bank, so we must install a suitable fuse or circuit breaker. This protection is also required at the point of connection with the battery (or batteries), as it is live at both ends. If the new cable has only its normal insulation, over-current protection has to be a maximum of 7 inches along the conductor length. If we provide extra protection in the form of sheathing, conduit or something similar, we can extend the distance to 40 inches. 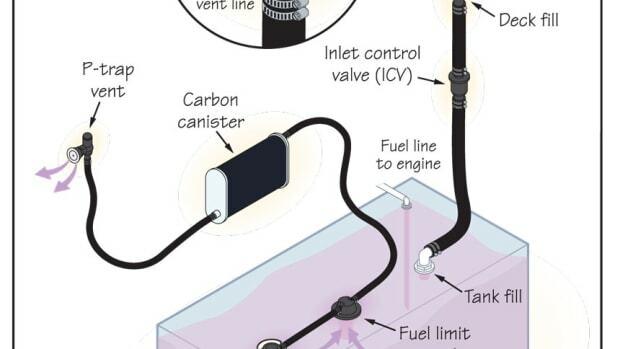 We may also have to install a separate grounded (negative) cable to the alternator to provide a more reliable and direct path for return current, rather than using the engine block and alternator case as a current-carrying conductor. 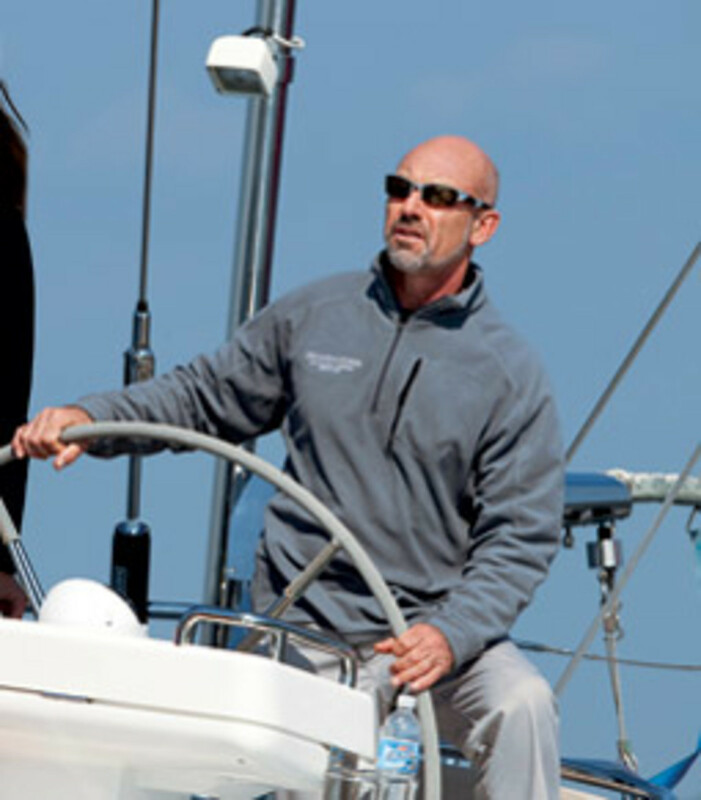 Roger Hellyar-Brook runs a marine consulting business, repairing and upgrading boats of all types. He has spent more than 40 years in the marine industry and is the former manager of the systems program at The Landing School in Arundel, Maine. This article originally appeared in the November 2017 issue. 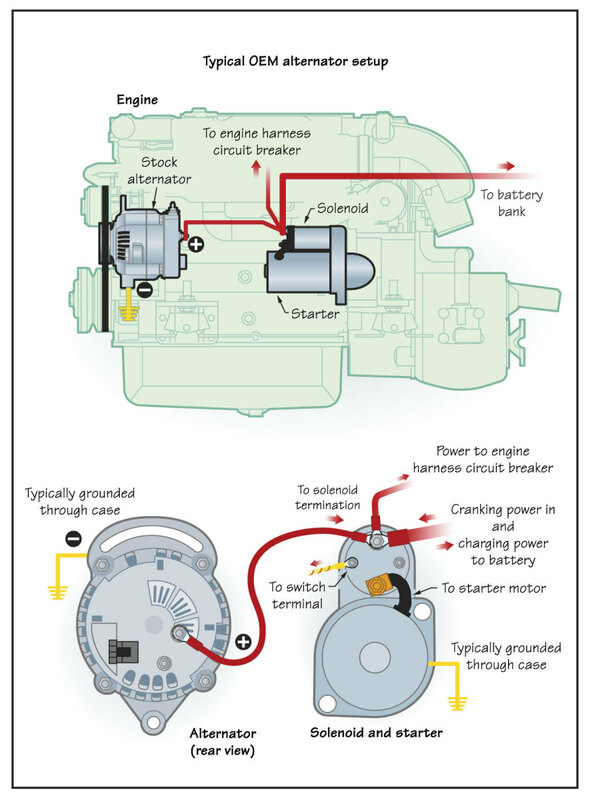 If the size of a boat’s battery bank is increased or the type of battery is changed, the engine alternator might have to be upgraded to a higher-amp model. The size of battery-charging equipment has grown to keep pace with larger and more sophisticated batteries. Just as automobile technology is changing to match new environmental standards, so must our boats. 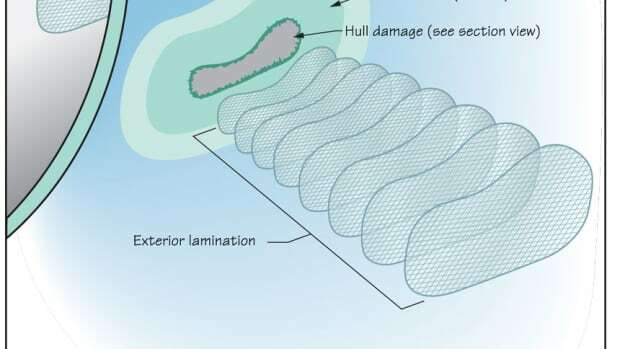 When a single-skin fiberglass boat has a hole or severe gouge, the damaged fibers have to be replaced with laminates that match as closely as possible the construction of the original. At the engine instrument panel, there are usually alarms for low oil pressure and high coolant temperature, often with monitoring gauges. 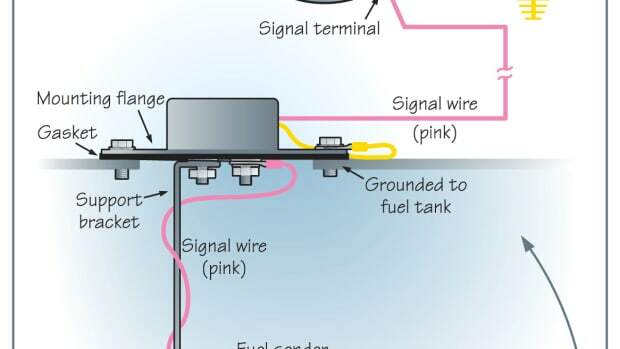 Although there are new technologies, most gauge transmitters (typically called senders) work on an electrical principle of varying resistance. 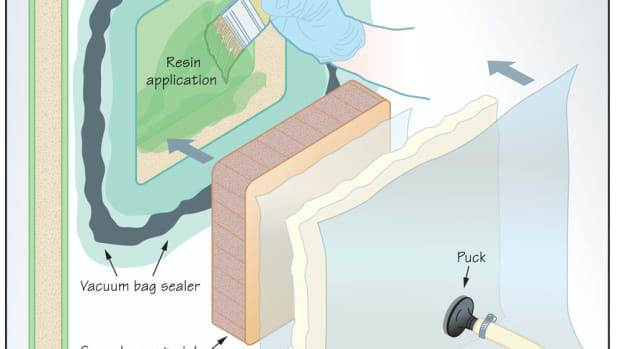 When building or repairing a substantial laminate, it helps to have pressure to compress the air from a stack or hold the core in place until a cure is reached. Frequently when doing hull and deck repairs, we have to work upside down, and applying pressure is difficult. 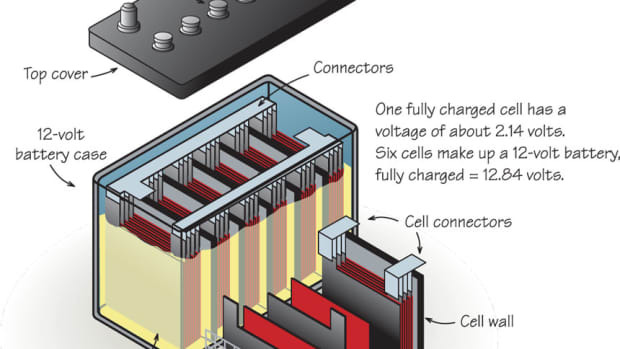 The world’s most common big batteries are called flooded or wet cell, as they have enough liquid acid to cover the battery plates.